Leader in VIDEO RECEPTION KIOSKS. Teleportel is THE Specialist and globally, the undisputed Leader in the market of 'VIDEO RECEPTION KIOSKS'. The state-of-the-art Hardware & Software Solutions offer an array of features : high-quality video calls including dynamic Routing, the Human Avatar serving the user fully automatically via the Self Service Programs, integration of all types of peripheral devices in the front-end, interconnections with the data-bases and ICT systems in the back-end, Video Call Center software, a comprehensive Cloud Management Tool with Advanced Statistical Reporting to help improve the processes continuously. The Systems offer multi-channel capabilities for Kiosks and for desktops, mobiles; using the same infrastructure; by the same Agents. Although a wide choice of off-the-shelve, plug-and-play solutions is available, many projects are custom-built, based on an in-depth operational and technical analysis of the operational processes, environment, desired customer experience and the requirements of our customers. Most of all, Teleportel prides itself on the highest possible Customer Satisfaction levels. We conceptualize, design, develop, build, deliver and support only systems of the highest level of reliability and l ongeviety. Moreover we distinguish ourselves by the highest level of responsiveness when it comes to customer requests and technical issues. We improve productivity of companies by means of live video. Teleportel (since 2001) leverages its expertise in live video communication to deliver immediate value to its customers by improving their productivity. Over the many years we have built a unique and complete suite of technological components to deliver turn-key, tailor-made solutions. We are top experts in providing total solutions for interactive, live video communication. It is our core business to apply this expertise to solve the challenges of our customers. Our unique software and hardware solutions – in a custom built approach - create value for our customers by integrating live video into their daily business processes. Our vast experience, specialized know-how and unique expertise are being applied in various business applications whereby personal, live contact over distance has the potential to improve the level of service and to cuts costs rapidly and sustainably. The ROI is hard and can be forecasted upfront. Teleportel is specialist and undisputed global market-leader in the niche of Custom-built Video Communication Systems. These are intelligent video-communication systems enabling our customers to do business over distance, exactly as if they were in the same location with the customer. The systems deliver the ultimate customer experience in distant video-communication. We keep pushing the envelope to achieve the highest level of natural and authentic distant communication between two individuals in different locations. These individuals are typically a service provider or sales person on one hand and a customer on the other hand ; in a B2C relationship. And, we do this... at the lowest possible cost. This cannot be done with 'classic' video conferencing equipment. To achieve this lowest-cost, highest-quality communication Teleportel has created a total 'suite'. It took over a decade to accomplish this. The 'Teleportel Suite' features advanced hardware and unique software components. The visual effect is stunning and not at all comparable with any other system available on the market today. It will meet your requirements and it will exceed your expectations. Since the inception of the company in 2001 , hundreds of systems have been shipped to 5 continents, to dozens of countries. The headquarters are based in Belgium from where we support EMEA. The US-based 'sister-company' is based in Dallas from where the America's and Canada are supported. 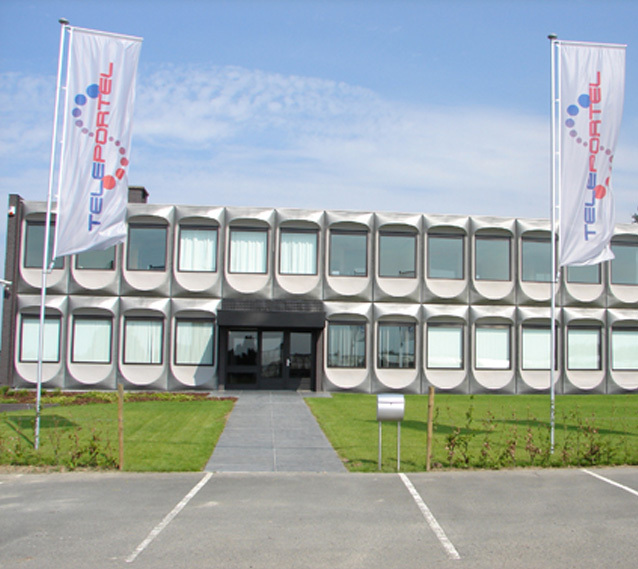 In 2008 a building was bought in Belgium with the sole purpose of setting up a unique, state-of-the-art demo facility of over 3500 square feet . Most of the systems are permanently on-display. The World-Class Software Engineering and Development qualities of the company are of the highest standard and this is reflected in the type and nature of bespoke Solutions we build for our customers. Regal Research (manufacturing partner and shareholder) provides our customers with standard display units of the highest international standard. 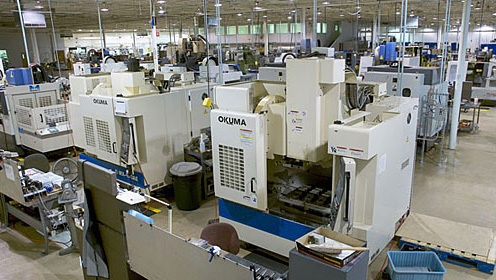 The manufacturing draws upon the latest precision equipment available in over 22.000 square meters of environmentally controlled manufacturing space with a seasoned workforce of 200 employees. Teleportel is 100% customer-centric in everything it undertakes. Our Strategies, Policies, Products, Technologies, Services and Organisation are designed with one objective in mind : to deliver the highest possible value to our customers; without compromise. We take pride in our high standards and very high levels of service. We do not rest before we achieve absolute customer satisfaction. We aim at the highest possible R.O.I. for our customers. We thrive for excellence in what we do and how we do it. That is not just words : our customers will be happy to confirm our excellence and our track record proves it. Here you can find an illustration of what makes us different. We build for our customers their own Private Video Communication System – running on their private infrastructure, not shared with others - secure and completely independent. That private system can be used under white label; meaning that only the name of our customer can be shown in the application. The users of that system do not need to download software and can connect with almost 2 billion other users. On-the- fly. The private servers of our European customers are located in Europe. For US customers, the private servers are located in the US. That is not only technically the best option but that is also important from a legal point of view. Our self-developed cloud- software enables us to deliver 100% custom-built solutions to achieve exactly our customers’ specific objectives and to solve their core challenges. We operate completely independently from manufacturers. We design the best achievable solution for our customers, without the restrictions that are often inherent to existing, standard applications offered by the vendors. Completely independant. As a standard, our systems feature aligned eye-contact. We achieve this thanks to a patented format. Eye-contact makes a big difference for the viability of many appications because it facilitates acceptance by the users. Optionally, we offer the patented 3D Virtual Teleportation Holographic displays whereby a live person appears in a remote location as if really physically present. For most projects, our unique methodology of prior business process analysis and subsequent custom-building of a tailor-made system , allows us to predict and guarantee a firm R.O.I. ; upfront. We complete our projects within budget and within the mutually agreed, pre-defined schedules; at an agreed upon fixed price; without surprises. Contractually signed, sealed and delivered. When in need for information or help, you will not have to find out. Instead, Teleportel co-workers (real people) are at your service : by phone, e-mail, video, website. Our contract customers enjoy a ‘zero response time’ service for malfunctions that may arise. We will start working the problem upon receiving the notification and continue our efforts till resolution. One-size- fits-all’ and ‘off-the- shelve’ video applications only bring about mediocre business results. Intelligently implemented tailor-made video-based solutions can lead to breakthrough results. channel completely separate and apart from the business processes. The impact on profitability and productivity is marginal. Best case scenario, some travel expenses are reduced and time is saved. But it does not impact the P&L and bottom-line compellingly. Since 2001, Teleportel has developed a wide range of hardware and software solutions, - specifically designed for high-quality, transaction- based personal contact interactions in demanding environments.